One week to go and we haven’t found any Arizona black rattlesnakes yet (remember, we wanted six). The clock is ticking. On the afternoon of 26 September, I started my snake search by checking on the bird-eater. He was in his usual spot, waiting for a thirsty bird. 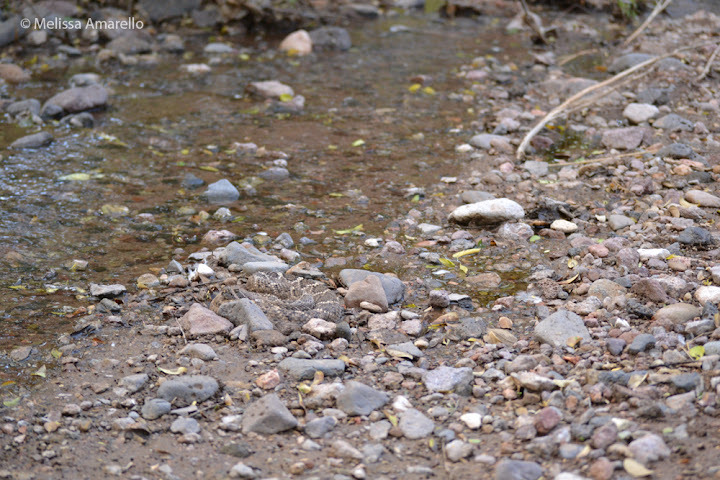 I then hiked downstream in hot springs wash and didn’t see another snake for hours. This is such a beautiful place, it is difficult to be disappointed by not seeing any snakes. At about 5pm, it was time to turn around and head back in defeat. Out of the corner of my eye I spotted a jet black little disk under a fallen log. Finally, our first Arizona black! Unlike some, Chris has almost no yellow scales on his back – he is completely black. Very pleased with my find, I happily headed back to the ranch. 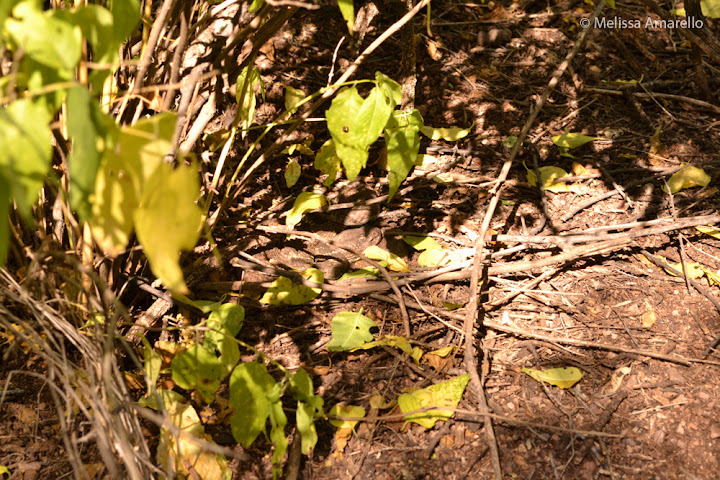 Our next snake search came a couple days later on the afternoon of 28 September. 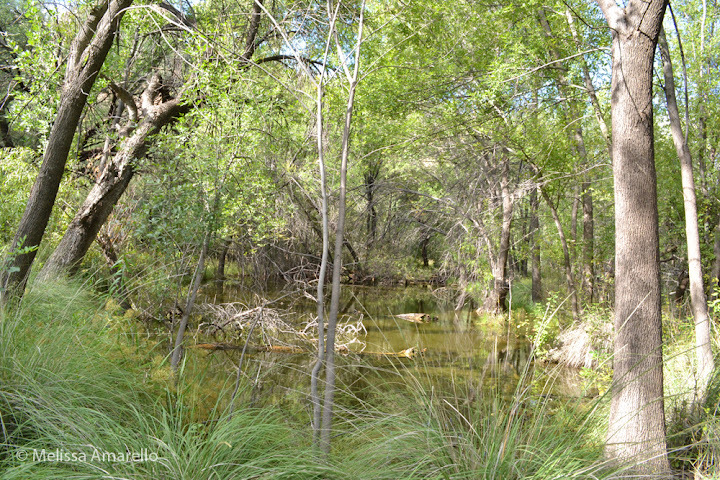 While Jeff checked out the mesquite forest near the ranch, I checked to see if the bird-eater was still around. Yep, bird-eater was in his usual spot, but facing upstream today. Since bird-eater thought this was such a good hunting area, I decided to explore it more carefully for others. 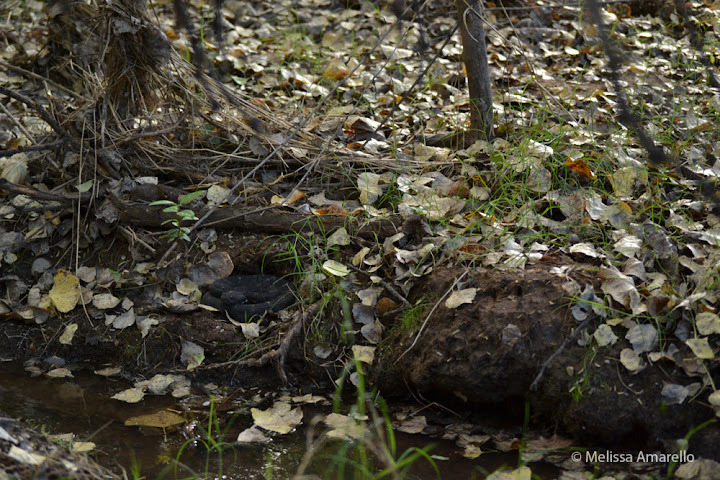 On a perfectly-sized ledge on the bank of hot springs wash, was another beautiful Arizona black rattlesnake. 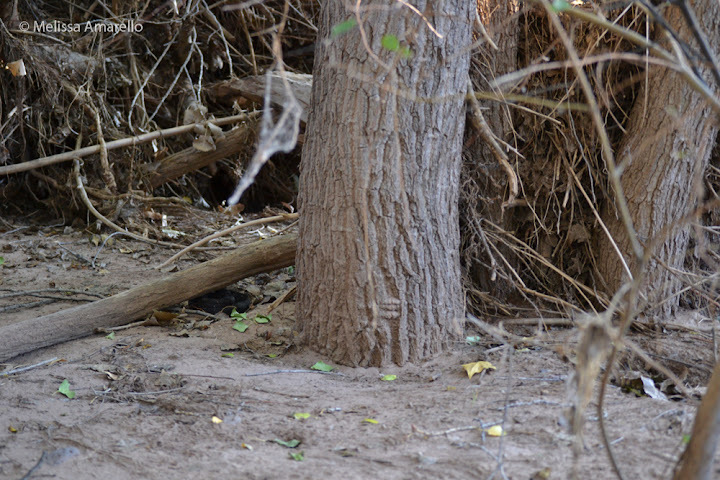 Meanwhile, Jeff ran into an Arizona black rattlesnake on the move near the old corrals where Glendy King was shot. Glendy King was the original homesteader at Muleshoe Ranch, so we named this snake Glendy. The final Arizona black was found by Jeff a couple days later. 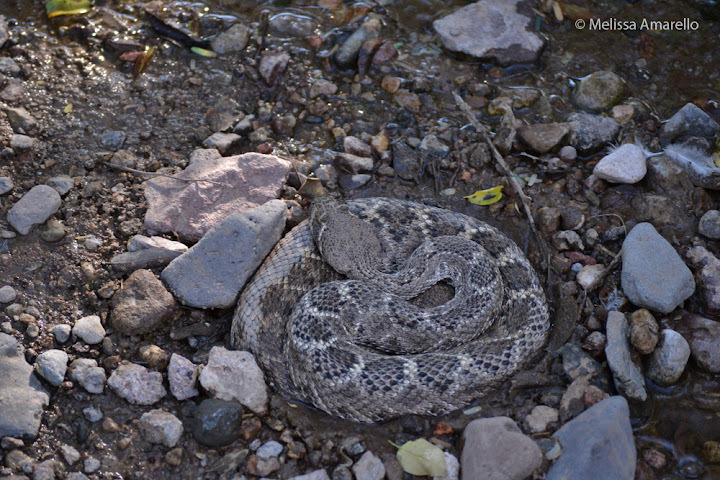 Boyett was hunting on the banks of secret springs, a spot where cottonmouths seem more likely than rattlesnakes.